Making the perfect fried potatoes often requires a few cooking tricks. This is a guide about frying potatoes. I love potatoes! So adding just about anything to them can really make a difference from the plain fried potatoes. These spicy fried potatoes go great with scrambled eggs, or they're just a nice meal all by themselves. You can add more or less of everything too. Chunky cut your semi-cooked potatoes. Chop up the cilantro. Quarter cut the tomato(s). Thick slice the onions. 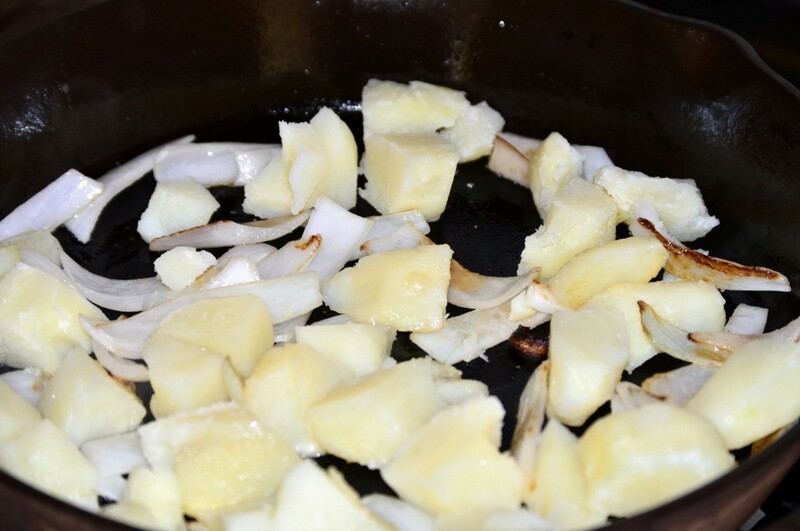 In a cast iron skillet, heat up your oil or butter and add your chunked potato pieces and onion slices. Now add your red pepper flakes, salt and garlic. Fresh garlic slices are the best, (I was out) so I used garlic powder which is okay too. When your potatoes and onions are cooked, put in your tomato quarters and cook those. Add the cilantro last and flip that around for a minute. It's done. Let raw potatoes stand in cold water for at least a half-hour before frying in order to improve the crispness of French-fried potatoes. Dry potatoes thoroughly before adding to oil. 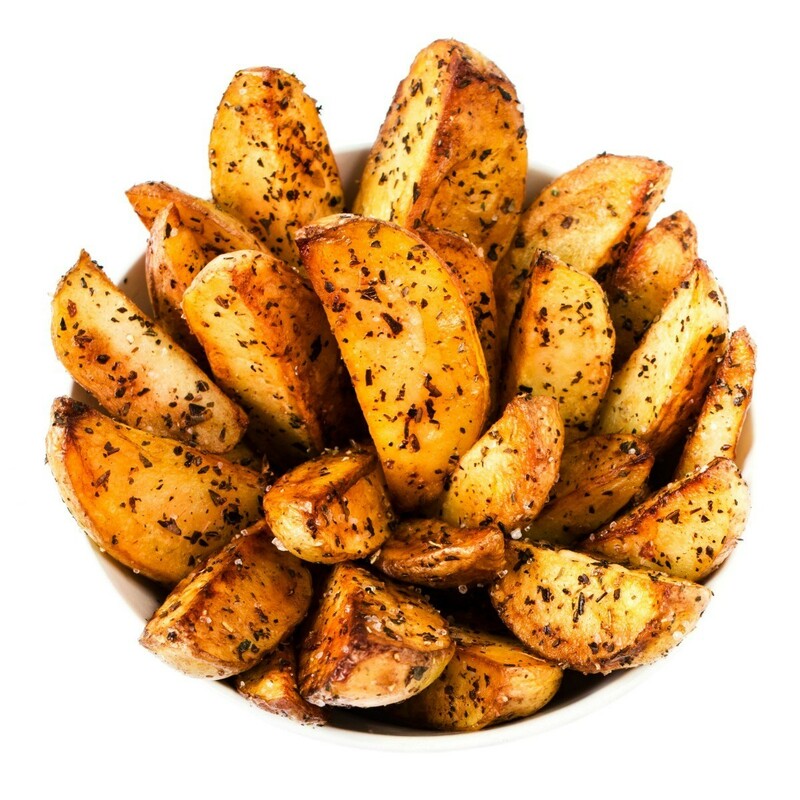 Lightly sprinkle with sugar when frying fresh peeled potatoes to get a nice crust on them. Source: From a former boss in the Dept. of Agriculture. Wash the potatoes before you peel, removing any scarred or spoiled spots, eyes, sprouts, & the like. Then peel the potatoes and save the skins for frying. Frying them in a little oil for about a minute will give you the same munchy tidbits that bars & restaurants charge high prices for. I have been trying to make good fried potatoes for a while now with little success. Does anyone have a good recipe? What I am trying to make is the skillet type that are often served with a lot of breakfast dishes at restaurants. Start with cooked, cold potatoes. It's easiest to bake a bunch the night before along with dinner. (Doesn't waste extra energy). 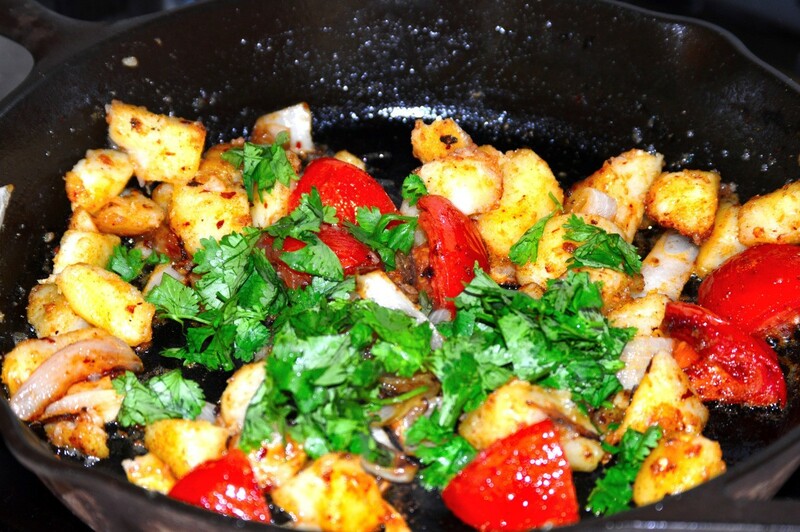 Add some oil to a pan, saute some onions and then to the hot oil and onions, add cubed potatoes. You can add peppers, too. Fresh rosemary from your herb garden is good. Saute, turning only as needed with a spatula. Turning too often creates mush. Fry cubed potatoes in olive oil until half done, add diced leek, salt, pepper, and for more spice, blackened seasoning. Cover and cook until done, turning from time to time. You might try sprinkling some flour on the potatoes before you cook them. This makes them more crunchy. Never thought of putting flour on them. That is a good idea. One thing I do is a sprinkle a little paprika on them for color. That seems to help crispify. And I usually bake or boil the potatoes first. Then chill them. Then cube them. I like to chop up some garlic and saute that with some onions before I add the potatoes. I have always use raw potatos, cook them in a little oil and cover them while they are cooking. Use a med-high heat and turn frequetly. Learned this from a resturant cook. The secret to those potatoes your talking about (like the skillet potatoes at Denny's) is the spices: Lawry's Seasonal Salt, garlic powder and pepper. 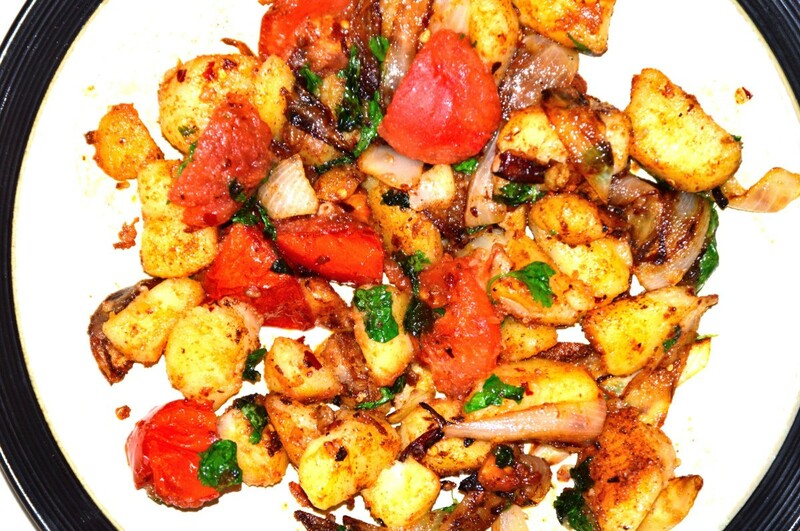 Don't peel the potatoesjust wash, cube, season (with spices mentioned above) and fry. I have to second the baking of the potatoes ahead of time. If we have baked potatoes, I always make extra for fried potatoes. They are much better and don't stick nearly as much. In fact, if I make a roast with potatoes, I cube up the extra potatoes and roast and fry it all together for a dinner of hash. My family wants me to make a roast just for the crispy hash the next day. We usually cube the potatoes and add water enough to cover them for about 10 minutes in order to cook them in the pan. Then we add butter, salt, pepper, and either garlic or Emeril's steak seasoning and fry until crispy and brown. Either option is fantastic and neither has been left on the plate. Good luck, take care of you and those you love. I like to make fried potatoes cubed. First cube leave skins on or peel your choice. Wash if you leave them on. Cube in about bite size pieces. Then use a little oil not much just maybe the spay kind with you favorite flavor, season salt, onions, or onion salt, garlic choped. I think you get the idea.Try different spices until you find what your family likes the best. You can bake in the oven wrapped in tin foil or on the BBQ. I happen to think the BBQ ones are the best. I also like to bake for quite a while as we like them to be crunchie. Heat a couple spoons of butter and oil in a fry pan, add onions, etc.. if desired. 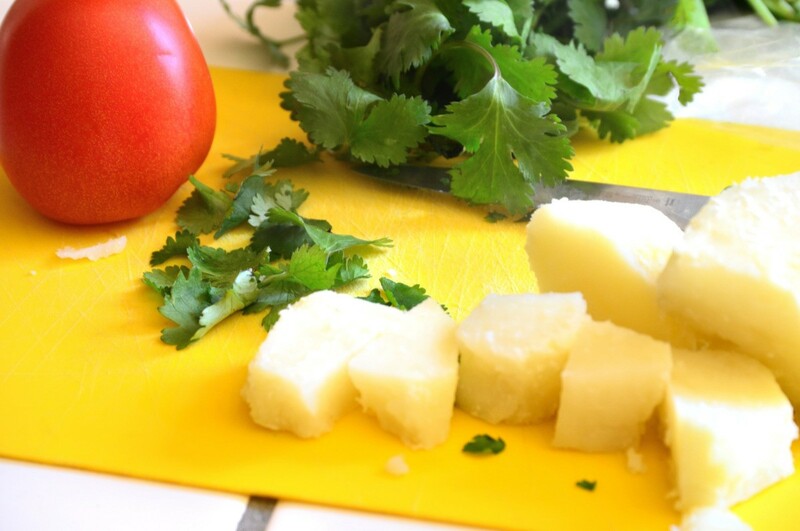 Cube raw potatos, with or without skins, place in a bowl, add salt, pepper, seasoning powder, garlic.. whatever you like (seasoning makes the dish), pour the oil/butter over potatos and toss. Return potatos to the pan, cover, heat on med high turning occasionally until they begin to cook on the outside. Turn down the heat, continue to cook covered until done to your liking. Peel potatoes. Cut into squares big enough that when you do fry them they wont shrenk up too small feel bottom of frying pan with oil let heat till hot than sprinkle potatoes with (seasoning salt pepper & salt ) which ever you like than sprinkle some flour on them throw them in the pan until they get to the tenderness that you like. ST in UT, I live in the poconos of PA. 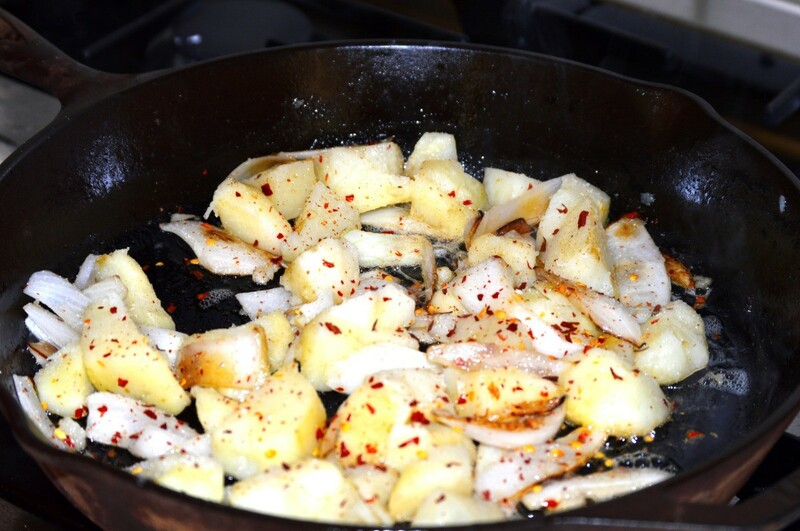 I don't know if this will help you in anyway but I do know that if you have bacon drippings that makes an awesome base to fry potatoes in..whether for breakfast or dinner. Don't over complicate. Have just under a quarter inch of oil in your pan and the oil is HOT. Waiting 5 minutes between flipping. Add salt after its done. Anything else can be added during cooking.